Indonesia like other developing countries still have a lot of social problems ranging from education equity, economic inequality, health care accessibility, etc. These problems turned out to be the paradigm of social entrepreneurship can be solved by following the principles contained in entrepreneurship as an innovative, professional, sustainable, and aims to seek profit. But profit in social entrepreneurship is not always seen as money or other materials, but everything that can provide benefits to make communities better than ever. In practice, a social entrepreneurship entity often foundered on various limitation such as capital funding, the quality of human resources, and marketing. 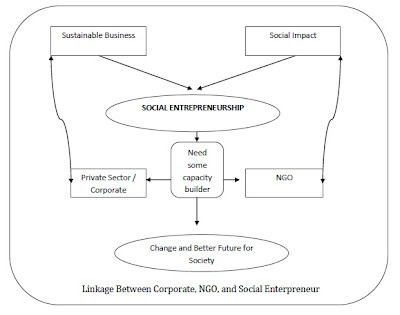 Although certainly a social entrepreneur must be creative in finding solutions to their problems, but in fact this limitation can be removed if it can be done synergy between social entrepreneur and other entity primarily private companies through the Corporate Social Responsibility (CSR). Just as has been done by DBS to support social entrepreneurship activity in many countries especially in Indonesia. Not only provide capital but also assisting social entrepreneur in order to improve the quality of business and human resources, as well as help introduce social enterprise to the public so the market of social enterprises will become wider. The involvement of the private sector in social enterprises has become significant because of private experience in business can be a good lessons learn for social entrepreneurs. But, what about the social aspect? Because exactly social enterprise would also talk about the social impact besides sustainable business. 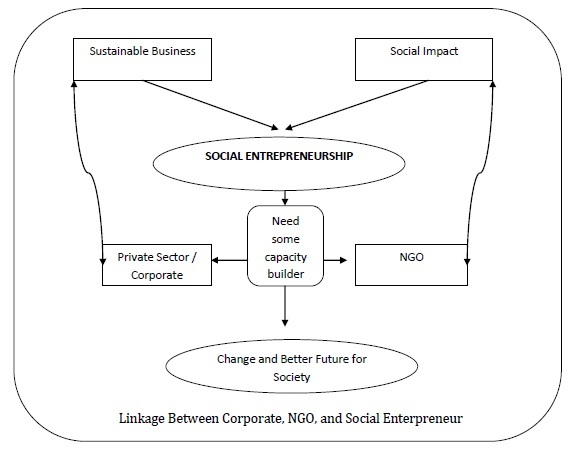 In this article I would also like to express the view that these synergies may be more complete if one added the role of Non-Government Organizations (NGOs) in it as a capacity builder of the social entrepreneur to maximize the social impact on society. I believe on this because the social entrepreneurs will get more lesson learn in social side based on the experiences of NGOs in contributing to the advancement of society. We can mentioned an NGO in Indonesia namely Dompet Dhuafa, one of the largest NGOs in Indonesia which also have a special program in pitching social entrepreneurs namely Social Entrepreneur Academy, which appears to make the experience of Dompet Dhuafa in community building as lesson learn that can be shared for other social entrepreneurs in Indonesia. In conclusion, given the role of the private sector to social entrepreneurs, especially when synergized with NGOs as an additional entity in the capacity builder, can maximizing social entrepreneurship benefits for Indonesia which more empowered, independent, and prosperous in the future.